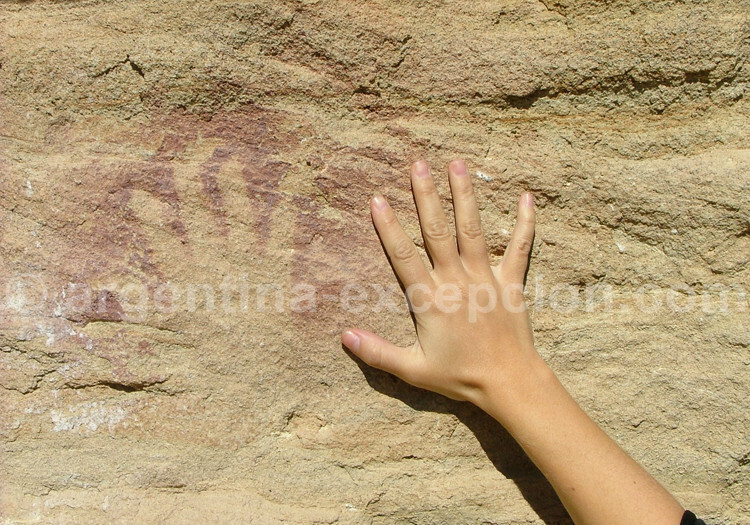 Cave painting art in the hand’s caves and historical discoveries in Piedra Museo and Los Toldos. For many years, the Clovis Culture theory about the late population of America has prevailed: men had arrived from Asia through the Bering Strait 13,500 years ago, before starting a large migration towards the southern region up to Tierra del Fuego, which was not yet separated from mainland by the Magellan Strait and just before the extinction of Pléistocène animals. The Paleolithic man hunted the hippidion, the horse’s predecessor. They were nomads, as all their contemporaries, and moved around in groups along the steeps and the woods of South America. 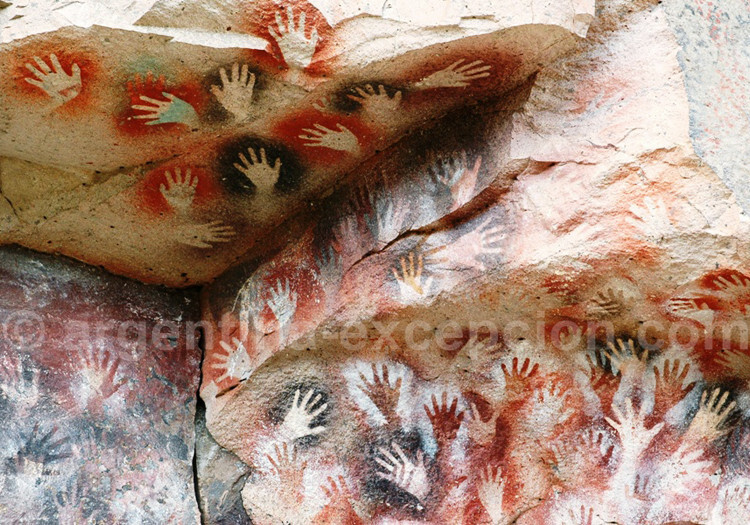 The most extraordinary evidence of this period is the Cueva de las Manos. 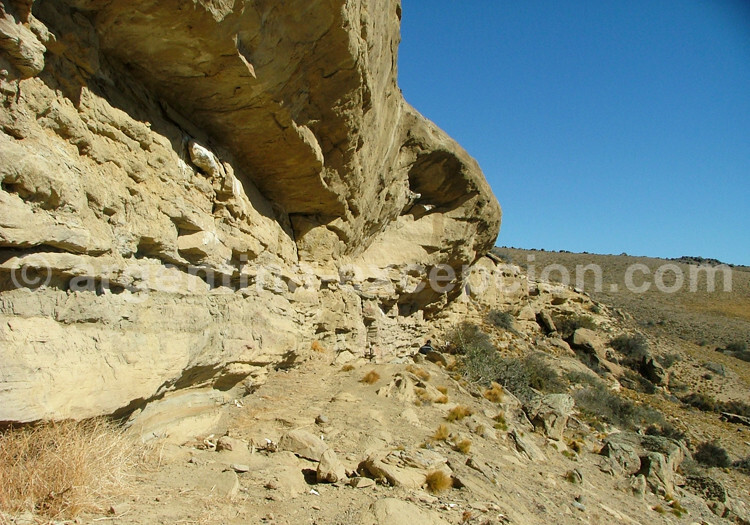 But the discovery of several archaeological sites questioned this theory, as the analysis showed remains from a previous period, such as in Piedra Museo and Los Toldos. 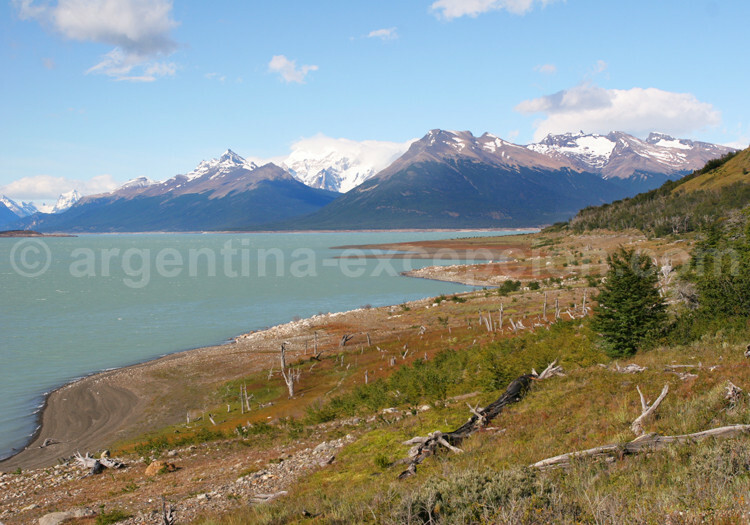 All these sites are located in the province of Santa Cruz turned into a truly laboratory to establish the history of the first men in Argentina and even throughout the continent. – Archaic paintings from 12,000 years ago: the famous hands (more than 800) negatively painted with simple geometric figures. – The scenes of hunting the guanaco, ñandú and puma with human representations that symbolize the rituals of fertility. – The most recent pictures (-1500 through 1000) with several geometric and symbolic figures, a more abstract art. The Tehuelches’ predecessors, some archaeologists say. About 10,000 years ago, nomad populations from Patagonia lived mainly on hunting, which they kept on practicing until a contemporary period with a bow and arrows, and bolas, a weapon made of rock balls tied by leather strips. They moved around in small groups depending on the season and the hunting. To protect themselves from cold weather, they used fur and leather from animals. The archaeologists do not know much about their lifestyle: as they neither developed any technology as metallurgy or pottery nor built any city with a complex political organization; there is little evidence available. Their descendant Tehuelches are known a little better, as they gave birth to the myth of the gigantic patagón with the big footprints found by the first white explorers in the 16th century. Men were 1,80 meter tall, quite an important height for those times. What makes a difference between the Tehuelches and other native populations is the taming of the horse in the 18th century, what would change their means of transportation and manner of organization. This equestrian art as the use of the bolas was going to be recovered later by the gauchos. Archaeological excavations carried out in Estancia Los Toldos, very close to the hands’ cave, showed prior human occupation: the deepest layer of the cave shows stone objects used by men dating from 11,000 and 13,000 years ago. This discovery is of utmost importance as it questioned the history of the population of America because it showed signs of human occupation dating back from more than 13,000 years ago. Same discovery in Piedra Museo: the remains of disappeared animals 10,000 years ago and some spear points dated back from 13,000 years ago. It is the most ancient human footprint discovered in South America with those from Monte Verde (Chile) and Piedra Furada (Brazil). These archaeological sites had come to share the new theory of a population of America 25,000 to 50,000 years ago, whose surroundings are still to be located. The objects and the copies of the cave paintings from Piedra Museo are exhibited in Pico Truncado Museum.